August 2015 saw the arrival of the official tenth year anniversary of Kampala Children's Centre, a decade since it first opened its gates in 2005. We invited all our supporters to commemorate this momentous occasion, as we held formal and informal celebrations between the 11th August to the 5th September. of whom were from the U.K, Belgium, Rwanda, Kenya and the US. To crown these celebrations we were also visited by His Excellency General Yoweri Kaguta Museveni, the President of the Republic of Uganda. We truly celebrated in glittering style. Our celebrations began upon the 11th August and started with a bang! and the Vice President of the Republic of Uganda, upon the 19th August. The pinnacle of the celebrations however, were upon the 5th of September whereby the centre warmly received His Excellency General Yoweri Kaguta Museveni the President of the Republic of Uganda. insisting upon a photo shoot on site, congratulating the team on all that has been achieved. 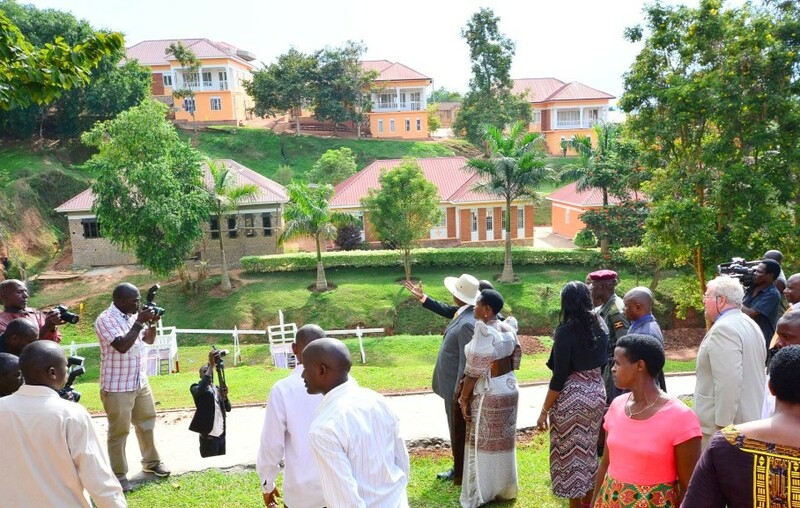 Throughout his stay the President officially opened Kampala Children's Centre, planted a tree by Abundant House and laid the foundation stones of the Educational and Medical Centres. The President was welcomed by over 3,000 people to whom he described Bishop Arnold Muwonge, a 'True disciple of Jesus, going beyond preaching to reach out to the needs of the community'. The celebrations also saw our volunteers connect once again with our children's cheeky faces. From the first purchase of Gombe Hill with just a vision, to commemorating a centre that now now cares for over 600 children, Kampala Children's Centre has truly undertaken unprecedented leaps of faith and growth over the past decade. But our greatest blessing, are our children.We have been blessed to receive such beautiful hearts, that have grown into young men and women. Adults, that embody the vision of K.C.C, which is to know and be loved and it is this, that is all we could have ever hoped for.